A large evergreen tree with attractive corrugated bark which develops a massive rounded head of branches, the ends of which become pendent with age. Especially useful in coastal plantings. 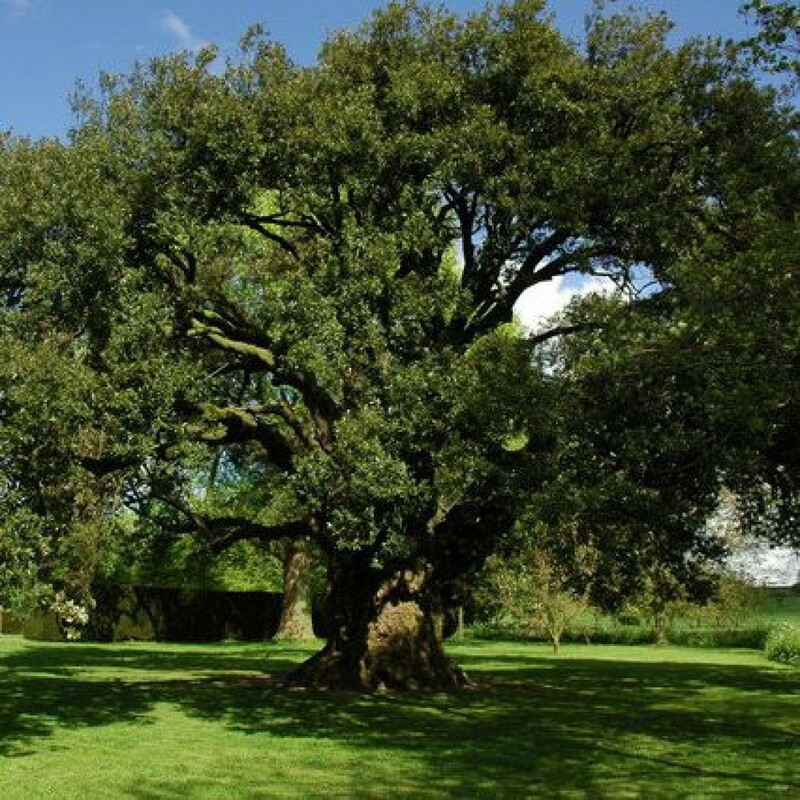 Native to the Mediterranean region, Holm Oak is one of the few evergreen oaks growing in Britain today. Its dark green leaves resemble those of a holly, and its resilience to salt spray makes it ideal for coastal plantings – it often naturalises next to the sea. Thrives in any well-drained soil. Particularly good for coastal planting. Not recommended for coldest areas of inland UK, grows best in southern Britain. Tolerant of shade. The dark green leaves are exceptionally variable in size, shape and texture. Young leaves are spiny, older leaves are smoother. White woolly new shoots and pendent yellow catkins emerge in June. Acorns appear in autumn. Use as a shelter belt in coastal areas to protect more tender trees from the elements. 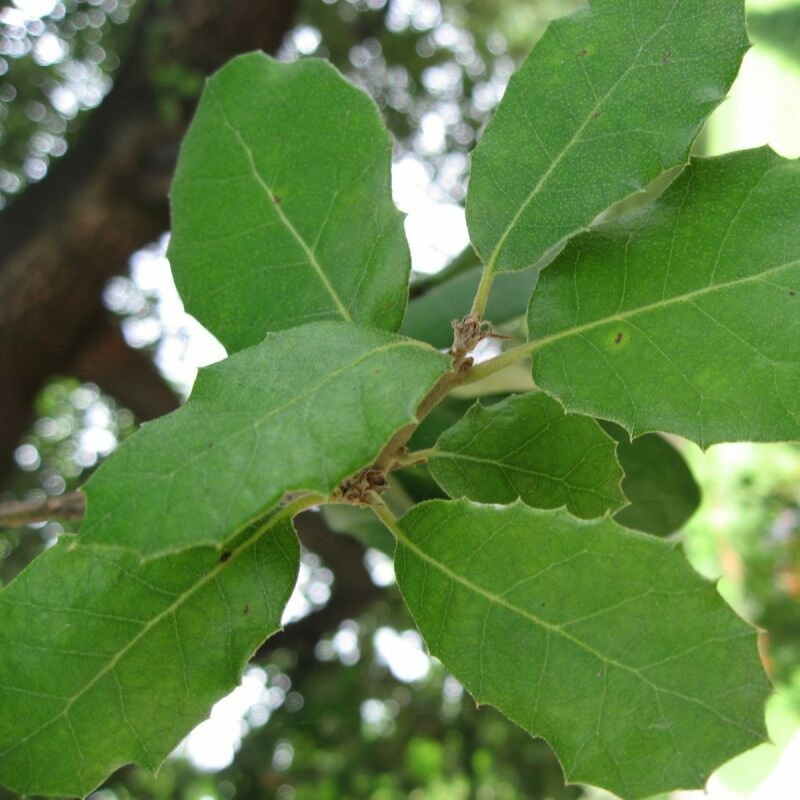 Holm Oak is not as valuable to wildlife as native English and Sessile Oaks, but its catkins provide a source of pollen for bees and other insects, while its dense, evergreen canopy offers year-round shelter for birds. 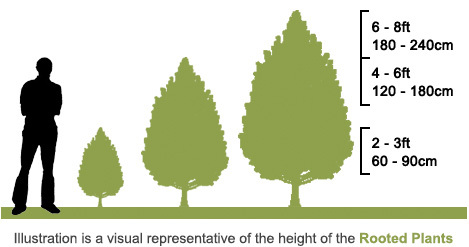 Ornamental trees, especially in parkland and large gardens. Makes a magnificent rigid hedge resistant to sea winds. Responds well to clipping. 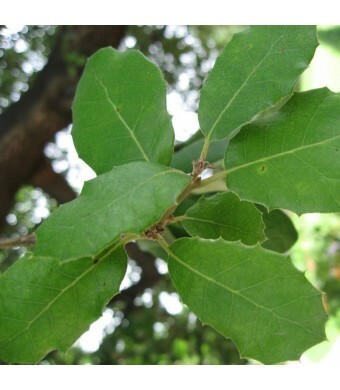 Holm Oak timber is incredibly hard and strong. The Romans used the wood for making the wheels of carts and carriages, as well as agricultural tools, and the bark for tanning. Today it is sometimes used for firewood as it is slow and long lasting. Holm Oak acorns are used to feed pigs reared for Serrano ham. Planting may be carried out at any time between early-November and mid-May. The cuttings are quick and easy to plant. They are provided with a slanted cut at the base and a straight cut at the top to make insertion into the ground easier and distinguish top from bottom. They can simply be pushed into loose cultivated soil and firmed in. They will need no support. In firmer soils simply make a vertical slit with a spade and push the cutting to the bottom of the slit and firm well by treading. Alternatively a narrow hole may be made with a bar or spike and the cutting pushed to the bottom and firmed well. A mole-plough or subsoil blade may be pulled through the ground in rows and the cuttings simply pushed into the loosened soil slit and firmed in by foot. The smallest one foot long (30 cm) cuttings must be planted so that only 2 inches (5 cm) is showing above ground. This makes them vulnerable to being smothered by weeds and grass before they get away, and so they are only suited to situations where they will receive a high standard of care in the early days. The two foot long cuttings (60 cm) are planted so that half is in the soil as in the photo below. This means that the new growth starts above weed and grass height. Being larger they also contain greater reserves of energy and grow away faster. In most situations the 2 foot long (60 cm) cuttings are the best option and will produce a tree, if looked after, of 6 - 8ft high in the first growing season . Bare root plants can planted by notch or pit planting methods. For more information, please download this helpsheet. All sizes of cutting root equally well. The smallest one foot long (30 cm) cuttings must be planted so that only 2 inches (5 cm) is showing above ground. This makes them vulnerable to being smothered by weeds and grass before they get away, and so they are only suited to situations where they will receive a high standard of care in the early days. The two foot long cuttings (60 cm) are planted so that half is in the soil. This means that the new growth starts above weed and grass height. Being larger they also contain greater reserves of energy and grow away faster. In most situations the 2 foot long (60 cm) cuttings are the best option and will produce a tree, if looked after, of 6 - 8ft high in the first growing season. On dry sites such as sands and gravels, or on banks, we would suggest that you plant a longer cutting and insert a larger proportion into the soil. Both the hybrid willows and poplars have the ability to make roots from any part of the stem and so, if planted deeply, will produce deep roots, which will always find moisture. The rooted trees and longer cuttings will cope better with difficult conditions and weed or grass competition to give instantly visible results. Further information on rooted or unrooted plants can be found here.